Around 41.5 million people plan to travel this weekend — and many of them will face heavy rainstorms that may require some last-minute shuffling of plans. You might find yourself searching for indoor activities as a result — so it’s good to know what’s open on Memorial Day. Remember that it’s a federal holiday, meaning that all government offices will be closed — and so will banks, post offices, schools and the stock market. But that doesn’t mean that everything else will be closed this coming Monday, May 28. In fact, many establishments will hold special Memorial Day sales, with deals and freebies for veterans. While most major chain stores and restaurants will be open — some locally-owned businesses might be likelier not to be open. When in doubt, call ahead to see whether an establishment is open and for what hours. Most, if not all, retail stores are open on Memorial Day. Not surprisingly, Walmart is included, along with Costco and Target. The major drug store chains, like Walgreens, Rite Aid, and CVS, will all be open. However, if you frequent a local, independent pharmacy, you may want to confirm their holiday hours on Monday. For the most part, grocery stores and convenience stores will be open on Memorial Day. Some may have reduced hours for the holiday, so you’ll want to call ahead to confirm their schedules. Major chain restaurants will be open on Memorial Day, but locally-owned establishments may be exceptions — you’ll want to call ahead before showing up at one of them that day. Most gas stations will be open on Monday, although some locally-owned stations may be closed or have reduced hours for the holiday. Banks, credit unions, and all U.S.-based investment related entities will be closed on May 28 — since they observe federal holidays. But this won’t preclude you from using ATMs and online banking applications. Between the two technologies you can conduct most forms of transactions, although they won’t clear until at least the next business day. Both public and private schools tend to observe federal holidays like Memorial Day — they won’t be open and kids will get a three-day weekend. Similarly, libraries will remain closed on Memorial Day. Most are also closed on Sunday, so you’ll want to be sure to make your trip to the library before it closes Saturday. As previously stated, because Memorial Day is a federal holiday, government offices will be closed at all levels. That includes Social Security offices, courthouses, and the Department of Motor Vehicles — all closed for the day. Along with that, there will be no mail delivery and no postal staff on duty Memorial day — although some self-serve post office locations might have their lobbies open for people to mail letters and check P.O. boxes. The closures include Fedex and United Parcel Service — with the exception of UPS Express Critical service and FedEx Custom Critical. No matter what your plans are, it is always a good idea to call ahead and confirm a store’s holiday hours before heading out. Readers, what sort of plans are you making for Memorial Day Weekend? Is the Post Office Open on Memorial Day 2018? Which Retailers Offer Discounts to Veterans? What’s the Difference Between Memorial Day and Veterans Day? What’s Open and What’s Closed Memorial Day? Is Costco Open on Memorial Day? Is Target Open or Closed on Memorial Day? Is Walmart Open on Memorial Day? Is the Stock Market Open on Memorial Day? Are Banks and Credit Unions Open on Memorial Day? Is Costco Open on Memorial Day 2017? If you go solely by the advertisements on TV, you would think Memorial Day was an occasion to celebrate shopping and consumerism. While the vast majority of retailers on TV are touting all the great bargains they have as part of their the Memorial Day sales, Costco is one of only a few major retailers which keeps its doors closed on the holiday. As part of the Costco holiday schedule, all warehouse stores will be closed on Monday, May 29 to observe the holiday. Costco gives employees the chance to spend time with their family and friends on a number of federal holidays when most other retailers remain open. While this is great news for those who work at Costco, it can cause confusion for those who want to shop at the retailer since most stores remain open on the holiday. Since there are a lot of people want to shop at the Costco warehouses to stock up on supplies for long weekends like the Memorial Day weekend, it’s important for them to plan ahead so they don’t find themselves at a closed warehouse on Memorial Day. No, Costco is not open on Memorial Day. There is no such thing as a Costco Memorial Day sale because the warehouse is closed for this holiday. For those who are planning to have friends and family over for the unofficial first day of summer, they need to stock up on supplies before May 29, 2017, if they want to purchase items at Costco warehouses. Is Costco open on Memorial Day Weekend? Yes, Costco is open on Memorial Day Weekend. While the warehouses will be closed on Monday, May 29, they will be open for business on Saturday, May 27 and Sunday, May 28 for all those who need to purchase food and other supplies for the weekend and holiday. The stores will keep their normal Saturday and Sunday hours over the weekend. Are Costco gas stations open on Memorial Day? No, Costco gas stations aren’t open on Memorial Day. Just like the warehouses, Costco gas stations will observe the same holiday schedule as the stores to which they are attached. While Costco gas stations often have extended hours compared to the warehouses, they do not open on holidays when the warehouses are closed. If you need to fill up you car or another vehicle with quality gas for the holiday, you will want to do it before May 29. Yes, Costco.com will be available on Monday. Costco.com will be running as usual on Memorial Day. However, keep in mind that any deliveries may be thrown off by the holiday as USPS workers have the day off. You will be able to place orders on the wholesale retailer’s website and look at what they have available in stores on Monday though. Do you have any additional information regarding Costco’s Memorial Day schedule? Please, let us know. Drop your information in the comments. Is Target Open or Closed on Memorial Day 2017? Have you ever driven to your favorite store, walked up to the door and found out it is closed? When federal holidays come around in the United States, there is often confusion as to what is open and what is closed. Only federal employees are guaranteed a day off of work, however, retail stores and other privately owned places get to decide whether or not they will stay open. Retail stores, like Target, Walmart and Costco decide individually whether they will stay open. Some stores observe some holidays while they ignore others. This leaves many consumers wondering whether their favorite stores will be open or not. With Memorial Day on Monday, May 29, many people are wondering whether Target will be open or not. Is Target Open on Memorial Day? Yes, Target is open on Memorial Day. Memorial Day is also a great day for sales, so if you love saving money at Target, the stores will be open. There are only two days during the year when Target stores close (Easter and Christmas), and they remain open the other 363 days a year. When shopping sale events, the most important thing to remember is that a deal is never a deal if you purchase something which you weren’t planning to purchase in the first place. It doesn’t matter how much of a discount you can get on the item. Discounts are only true savings if you buy something you were already planning to purchase and use. With this in mind, there may be some quality items you can purchase at a discount at the Target Memorial Day sale. As part of their sale this year, they are discounting summer home decor, summer clothing, grills and accessories, and swimwear. While these will be less expensive than if you buy them during the middle of summer, they won’t be as inexpensive as you can get them if you can wait until the summer season is over. For those who are looking for deep discounts, you can look on the clothing racks for the last of the winter clothing which the store will be trying to get rid of so it doesn’t have to inventory it. In fact, anything remaining from winter may be discounted as much as 75% or more off its original retail price. Because Target’s hours will not be affected by the federal holiday, Target.com will be running business-as-usual on Memorial Day. However, expect deliveries from Friday on to be slightly delayed. USPS workers have off on Memorial Day which means no packages or mail will be delivered on Monday. If you have a question about Target’s hours or sales over the Memorial Day weekend, check their website. You can also keep a lookout in the mail this week for a flyer from Target or give your local store a call. Do you have any further information about Target’s holiday schedule or sales? Leave your thoughts and additional information in the comments. Is Walmart Open on Memorial Day 2017? Many people rely on Walmart as their first choice for many of their shopping needs. Store hours during the holidays can be a bit confusing so you are not the only one wondering about the Memorial Day holiday hours. Memorial Day is recognized by the stock market and other institutions so it makes it difficult to know what will be open and closed. Is Walmart open the day before Memorial Day? Walmart will be open on Sunday, May 28. Walmart does not close its doors very often and the day before Memorial Day is not one of the few times it closes its doors. Walmart will be open on Memorial Day. According to Walmart’s holiday schedule, Christmas is the only holiday in which Walmart closes its doors entirely. So, if you need anything from the retail giant on Monday, you will be able to get it. Most Walmart stores have a bank, hair salon, nail salon, an optician and income tax preparation service inside the store. Those service providers are independent of Walmart and do not follow the same operating hours as Walmart stores. Check with your local store to see if those service providers will be closed on Memorial Day or any of the days surrounding the holiday. What days is Walmart closed? Walmart only closes on Christmas each year. On Thanksgiving, some Walmarts close their doors and reopen in the evening for early Black Friday sales. These are the only two days that Walmart has an altered schedule. When will Walmart stores be open? Is there an Memorial Day Sale? Walmart has a sale on most major holidays. Around Memorial Day, Walmart usually puts outdoors items on sale such as grills, beach supplies and other outdoor activity supplies. You will also be able to find small American flags, large flags and other patriotic items on sale. Because Walmart is still open for Memorial Day, Walmart.com will still be fully operational. In fact, Walmart.com is operational everyday, but delivery around holidays, such as Christmas, from the website may take a bit longer. Because Memorial Day is widely celebrated, many people get confused as to what is open and what is closed for the holiday. However, you have no need to worry the Walmart superstore nearest you will be open. Are Banks and Credit Unions Open on Memorial Day 2017? When it comes to federal holidays, things can get confusing. What is open? What is closed? Because federal holidays don’t force businesses to be closed, it seems holiday schedules are anything but black and white. Financial institutions are among the questionable businesses when it comes to federal holidays, like Memorial Day. Banks and credit unions decide for themselves whether they will observe federal holidays or not so it varies from holiday to holiday. With Memorial Day coming up, many people will be wondering whether or not their banks will be open on Monday. Are Banks Open on Memorial Day? No, most banks are closed on Memorial Day. Most banks do close on federal holidays, however, there are a few banks and credit unions that will remain open. TD Bank is known for remaining open on federal holidays, but even it will close its doors on Memorial Day. 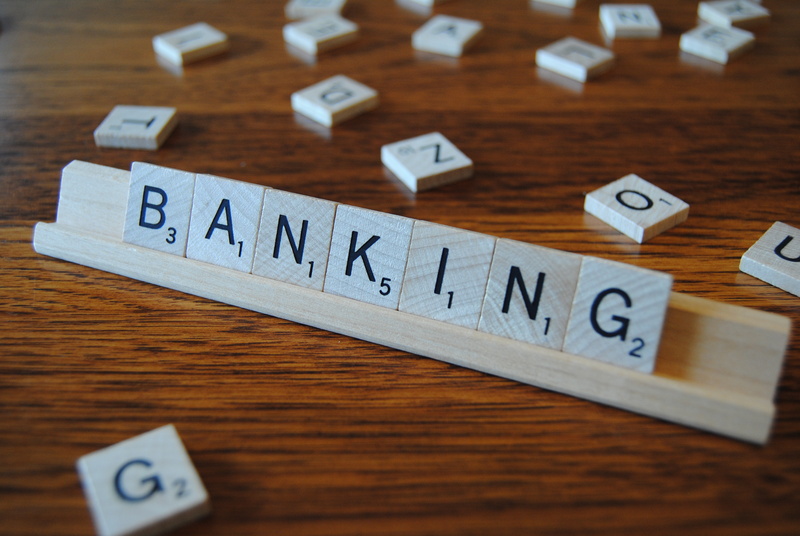 On Monday, May 29, your best bet for finding a bank that is open will be taking a look in large retail stores that will be open on the holiday, such as banks located within supermarkets or Walmart. On Memorial Day, many banks will close, but those who do not may operate on an altered schedule. Be sure to call and confirm the bank’s hours on Monday. What is the Costco Return Policy? Are Credit Unions Open On Memorial Day? No, most credit unions are closed on Memorial Day. Similar to banks, credit unions will also be closed on Monday. Some regional credit unions may be open, however, open credit unions will be far-and-few in-between. Just like banks, credit unions located within retail stores are more likely to be open than stand-alone unions. However, they may operate on slightly altered schedules. If you are unsure whether your credit union will be open or operating on an altered schedule, call and confirm their Memorial Day hours. While most credit unions will be closed on Monday, you will still be able to do some banking. Most banking transactions will be available online, through the bank’s app or at the ATM. With these services, you can bank 24 hours a day, seven days a week, 365 days a year. Not all banking transaction can be done this way, but most are available electronically. Keep in mind that if you do your banking electronically the transaction may not be available immediately. It may take one business day or more to post to your account. Those who deposit a check through one of these services will have to wait for the check to clear and it may not post to your account until the following business day. If you have any further question as to whether your bank will be open or closed, what online services will be available and how long it will take your check to clear, give your bank a call. Is the Post Office Open on Memorial Day 2017? Yet another federal holiday is around the corner. Monday, May 29 is Memorial Day so many businesses and government-operated facilities will be closed in observation of the day. It gets a bit confusing because many retail outlets have the choice to stay open or closed on each federal holiday. When it comes to what’s open and what’s closed on Memorial Day, nothing is black and white. However, many people will be wondering if the post offices will be open on Memorial Day. Is the post office open on Memorial Day? No, the post office isn’t open on Memorial Day. Memorial Day lands on the last Monday in May each year. This year, it will be celebrated on May 29. Many people will be heading to the beach for a three-day weekend because it is one of the 10 official federal holidays in the United States that are recognized by the government. The US Postal Service (USPS) is part of the government, so post offices throughout the country will be closed on Monday. If you need to get a package out, there won’t be any post office employees available. However, there are a number of other options offered by USPS to ensure you get your package ready to be shipped. It will be like a typical Sunday at the post office, an area with self-serve postage will be available. Keep in mind that even if you get your mail or package into the box at the PO, it will not go out on Monday. It will go out Tuesday. Because post office employees have the day off, mail will not run as normal. Will the post office be open on Memorial Day weekend? Saturday May 27: Maybe. Some local post offices stay open on Saturday. If your local PO is usually open on Saturdays, it will be open on May 28. If it is not usually open, it will be closed. The branches that are open will likely have shorter hours though. Larger branches are sometimes open on Saturday, so if you need to get some mail out, you can look at the USPS website and find the closest open branch to you and check their hours. Sunday May 28: No. 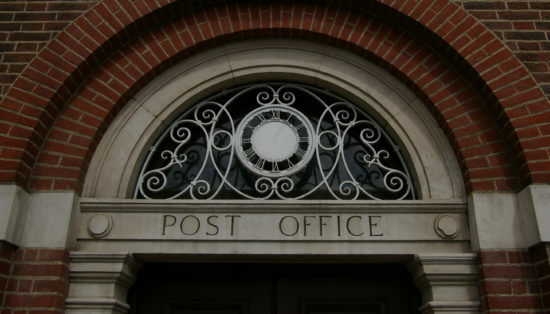 Post office branches are typically closed on Sunday. The day before Memorial Day will be no different. Monday May 29: No. The post office will be closed in observance of Memorial Day. Remember that the post office isn’t the only mail service available to get packages out. Private mail carriers, such as the United Postal Service (UPS) and Federal Express (FedEx) may be open so that you may send your mail. Is UPS Open on Memorial Day? No, regular UPS services aren’t open on Memorial Day as the company does observe this holiday. If your need to send a package is urgent, UPS offers UPS holiday and UPS Express Critical services on Memorial Day. Is Fed Ex Open on Memorial Day? No, FedEx is closed on Memorial Day and all regular mail and package deliveries will not be made. FedEx Home Delivery service will also be closed on Tuesday, May 30.